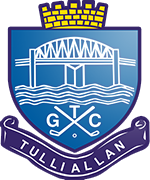 We at the Tulliallan Pro Shop take pride in the work we undertake on behalf of the members and committee, whether it be dealing with visitors out for a golf day or competitors coming to take part in one of our Open competitions, we always make sure they are given a warm welcome in the Pro Shop. The pro shop at Tulliallan provides a full retail service; stocking the latest equipment from different brands. As a member of Foremost Golf, we have the opportunity to get a hold of almost any product on the market, even if we do not stock the brand. We are able to offer custom fitting and tuition in our state of the art indoor swing studio using launch monitor technology. Foremost Golf also allows us to utilise their Click & Collect service, meaning you can order any product you want and collect it in the Pro Shop without any hassle. We also provide a full repairs service, custom fitting using launch monitor technology & coaching to all ages & abilities.